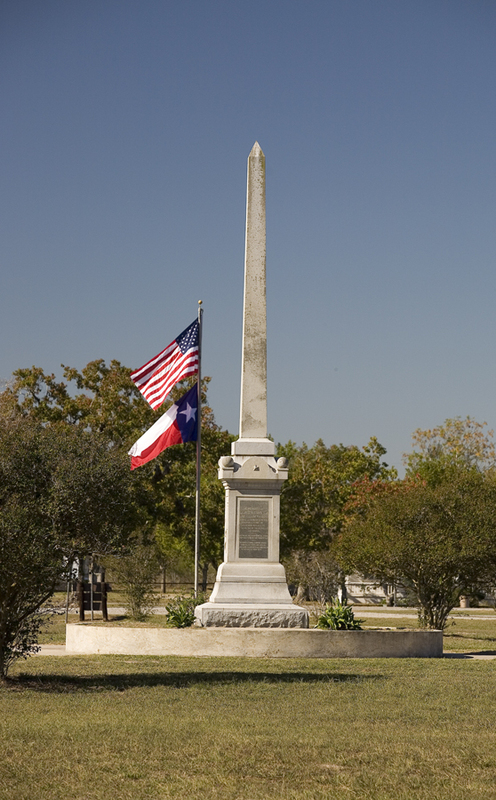 GPS: N28° 41' 10.9" W97° 14' 2.2"
Located about 10 miles east of Goliad, visitors today walk the landscaped grounds and view the impressive stone obelisk that honors the spot where Fannin surrendered, taking a moment to remember the men who helped forge Texas’ destiny. 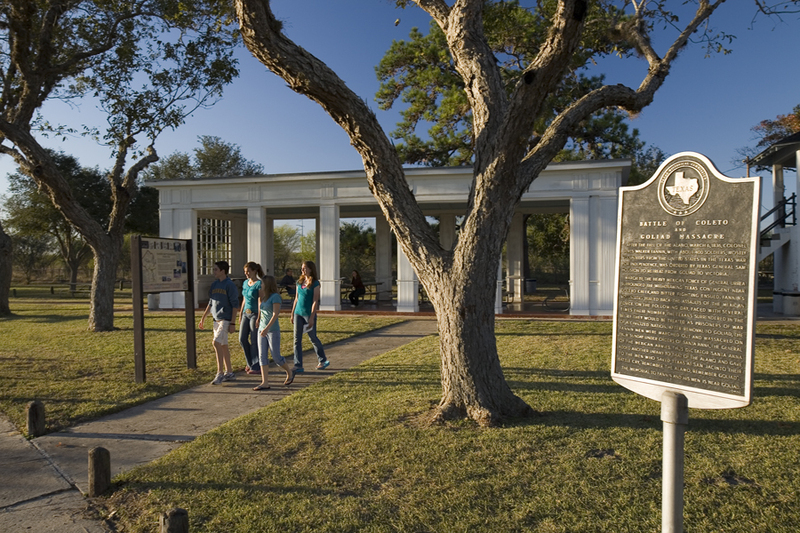 An interpretive exhibit, group pavilion, and picnic area are also on the 14-acre grounds. 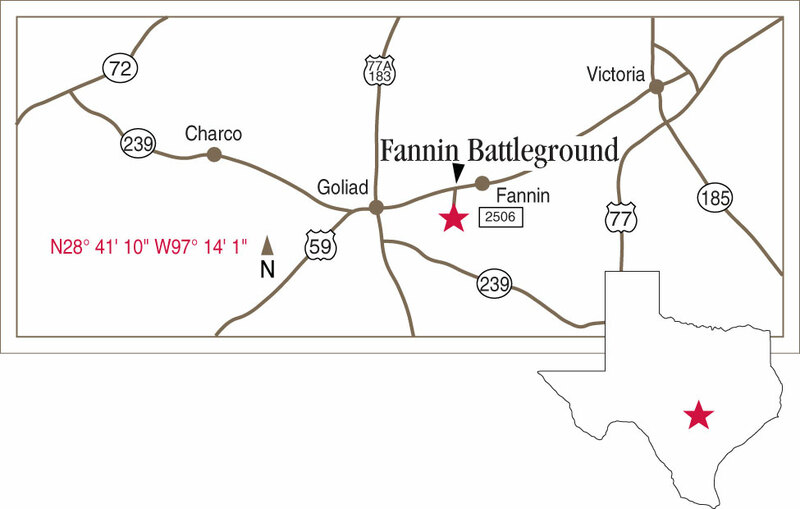 Download the Fannin Battleground visitors guide (PDF) for a snapshot of the site. 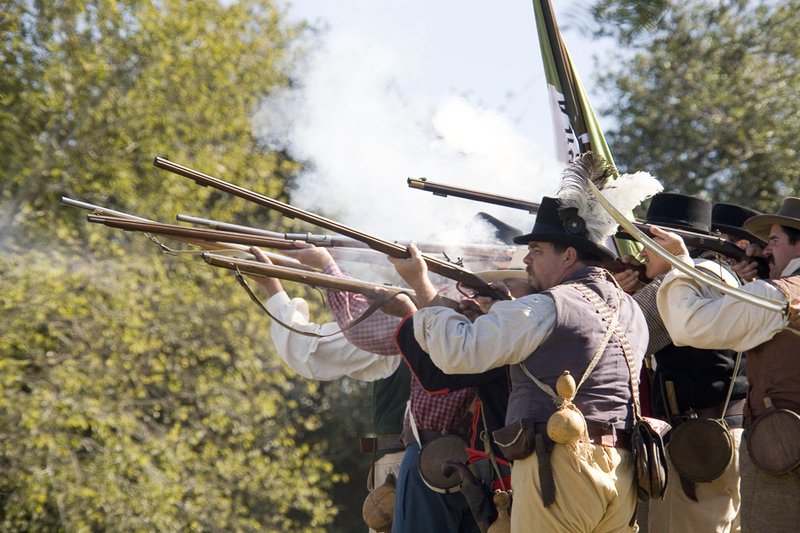 Help us preserve Texas history. 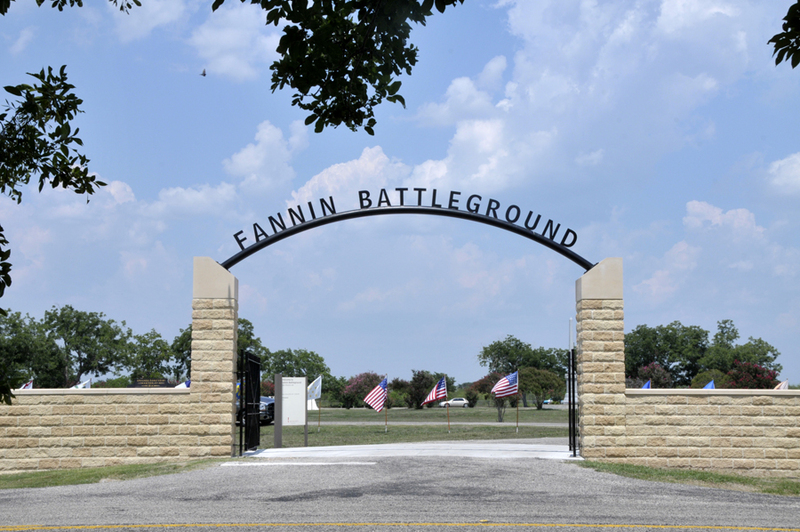 Donate now to support the preservation, education, and outreach activities of Fannin Battleground.